The house that was purchased in Goa by Fr. Moser was named Casa Pallotti. Opening of the house in Goa was the first major undertaking of the Society in India outside the Raipur mission. According to the wish of the superiors this house was to be an Apostolic School to accommodate the Pallottine students from the west coast. On August 2, 1962 the Patriarch of Goa, Most Rev. J. V. Alvernaz erected the house chapel at Casa Pallotti into a Semi-public Oratory, where Catholics of the surrounding area could attend the Mass. Fr. Moser was the first Rector of the house. After Fr. Moser, Fr. Frey took charge as the Rector assisted by Fr. Anton Nenzl SAC. At this time Casa Pallotti had students from Goa, Mangalore and Bombay. In June 1965 Fr. Anton Nenzl SAC was appointed Rector of Casa Pallotti. In 1968, he began the construction of the two storied building. He was at this time assisted by Frs. Charles Tirkey, SAC, and Joseph Polackal, SAC, in the formation of the boys and the work on the building. Frs. Henry Kieffer, SAC, and Paul Kochupoovathummootil, SAC, made notable contributions to the growth of Casa Pallotti in their capacity as Rectors during the subsequent years. Most of the vocations from this region during this period were fruits of this Institute. Casa Pallotti continued to be Apostolic School until 1979 when the house became the Philosophate for the Indian Pallottines. Since then Frs. Vijay Thomas, SAC, Jose Koyickal, SAC, Vensus George, SAC, Thomas Ezhormattam, SAC, Vincent Thottupattu, SAC, Reginald Mascarenhas SAC, and Fr. Johnson Thaiparambil SAC, served as the Rectors of Casa Pallotti. Fr. Oswald D'Souza is the present Rector of Casa Pallotti. In April 1992 there was a Major fire in which the old Casa Pallotti building was completely destroyed and it was renovated in 1994. Now Casa Pallotti serves as the residential block of the students of Pradeepa: Pallotti Institute of Philosophy and Religion. 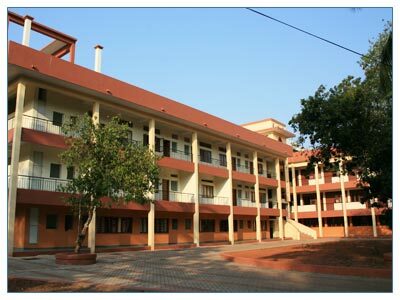 Pallotti Institute of Philosophy and Religion was established in 1972 at Pallottigiri, Thiruvananthapuram, Kerala, under the name The Training Centre for Humanities. 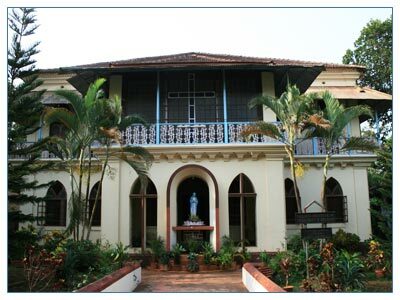 In 1979 this Institute was shifted to Casa Pallotti at Assagao, Goa, and began functioning under the name Pallottine Philosophical Institute. Since the focus of education in this Institute was on Philosophy and Religion, it was renamed Pallotti Institute of Philosophy and Religion in 1995. On November 15, 1999, the new Academic Block of Pallotti Institute of Philosophy and Religion was blessed and inaugurated, and was dedicated to the seekers of truth and wisdom. This Institute, nestled in the embrace of the encircling hills that incorporates into itself the rich and varied cultural and religious strands of Indian heritage merges with the beautiful landscape of the tranquil village, provides an ideal atmosphere for learning and research. 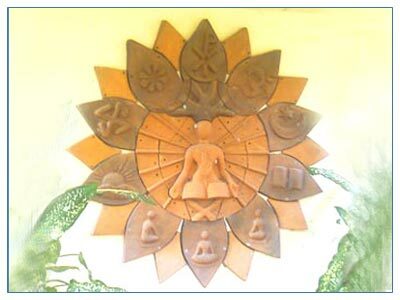 With the emergence of Prabodhana as its sister Institute in Mysore, the Pallotti Institute of Philosophy and Religion was rechristened Pradeepa in July 2005. At the academic and intellectual level of formation at Pradeepa lays emphasis on cultivating in the students a thinking and reflective mind, that would enable them to discern truth wherever it is found,to develop a perspective about life and reality, and "to acquire a solid coherent understanding of man, of the world and God." For this purpose, it imparts to the students knowledge of all branches of Philosophy both Western and Eastern, with an emphasis on Indian Philosophy, Culture and Religion. The students will also be led to be conversant with contemporary philosophical investigations stimulated by recent scientific progress, particularly in relation to current ethical problems. Bedsides, it organizes seminars, lectures and academies on relevant topics in order to widen the outlook of the students. The formation programme also seeks to instill in the students a clear, critical and creative thinking and lead them to do systematic research in the above-mentioned fields. At the human and personal level the students are guided to know, accept and respect their selves with all their strengths and weaknesses. They would be helped to become aware of their feelings and learn to deal with them appropriately. They would develop positive self-image, which enables them to face criticism and failure without self-pity, discouragement or resentment. On the basis of the most profound fundamental recognition that God is our Father and we are all His children, the students are to be helped to accept and respect every human person as he/she is with all his/her differences and limitations, thus standing free of all prejudices and class consciousness. They are to be helped to learn the art of communicating their ideas and perceptions with clarity, tact and firmness. They are to be helped to cultivate social graces, such as politeness, good manners, gentleness and consideration. A healthy community life is essential for integral human growth. The students would, therefore, be helped to enter into close communion with others and with understanding, forgiveness, mutual concern, discipline and love. Since conflicts are inevitable in any human relationship, the students would also learn to deal constructively with conflicts situations. The students would be helped to develop healthy habits of spiritual life, of silence and prayer. They would be guided to appreciate that true spirituality is essentially liked to live human and Christian values, such as readiness to forgive, sensitivity to the feelings of others, ability to empathize with them, the practice of honesty and justice, respect for the rights of others, and zeal for selfless service. The need for regular spiritual direction, which is an "indispensable means to spiritual maturity", would be cultivated in the students and they would be urged to seek regular spiritual direction from competent spiritual directors who have been approved. The Institute offers a two-year Degree / Certificate programme in Philosophy and Religion. The Institute has a well qualified teaching staff specialized in various subjects. The Programme offered at this Institute comprises of main courses, electives and ancillary subjects. While main subjects will have both oral and written examinations, the electives will have one form of examination. In addition, philosophical academies and seminars by eminent scholars are organized on various relevant topics of main as well as ancillary subjects, seminars and workshops, is obligatory. 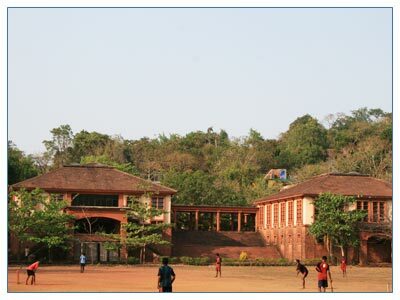 Pradeepa is situated on a spacious green campus. The residential block is separated from the academic block by nearly two hundred meters. The Library of the Institute has over 11, 700 books on philosophical and religious subjects. Every year new books are added to the existing collections. The Library subscribes to nearly fifty-two Periodicals and Journals, most of which are Journals of Philosophy and Religion. Besides the Central Library, the Institute also houses a Research and Publication Unit. The Institute also provides facilities for the sports and games such as Football, Basketball, Volleyball, etc.